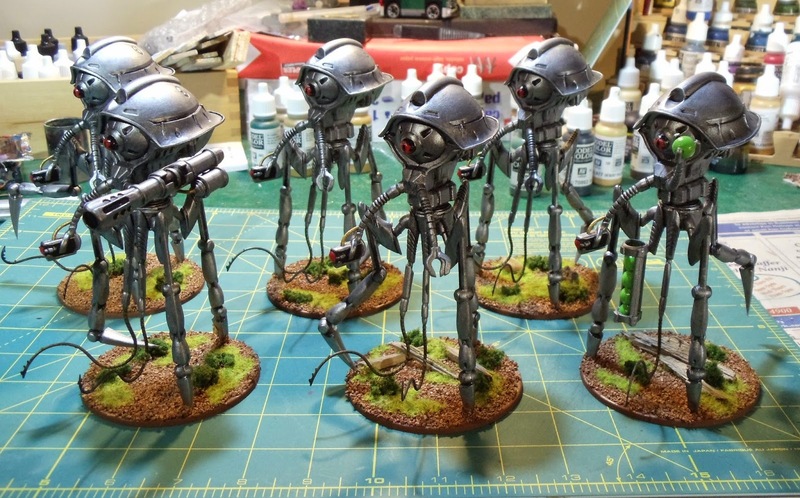 It's been a very slow month but I finally got these 6 assault tripods completed. So for MayDay this year, I've still got a pile of Martians to complete but I will definitely be done by the end of March and I've also got the land ironclad to complete. 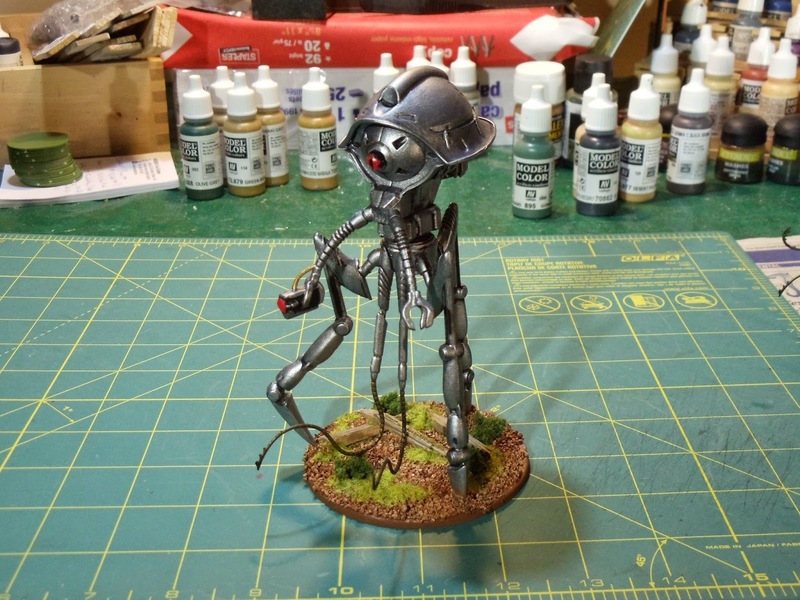 For the auction at MayDay, I'm going to paint up a DBA army. Most of the figures are on paint sticks waiting for it to warm up a bit so they can be primed. On the past weekend I had a few lads over for some board gaming and we played Urban Sprawl from GMT Games and Friedrich from Rio Grande Games. This was the fourth time I've played Urban Sprawl but the first time with four players. I managed to squeak out a win which was nice. I really like this game. Friedrich on the other hand turned out badly for me. I got to play the Prussians so everyone was against me. I made some bad decisions early on and lost a number of armies that I never got back. The Austrian player ended up winning the game. I'd really like to try this one again.